Two federal judges have blocked President Trump’s third try at implementing a nationwide travel ban. The first ruling blocking the administration from enforcing the September 24th Presidential Proclamation, which restricts travel into the U.S. by foreign nationals from eight countries, came from the U.S. District Court for the District of Hawaii on Tuesday, October 17, 2017, just hours before the travel ban was scheduled to go into effect. The Hawaii District Court issued a temporary restraining order (“TRO”), basing its decision on the same analysis used by the Ninth Circuit Court of Appeals when it set aside the earlier version of the travel ban – that is, that President Trump exceeded his authority under statutory federal immigration law. As a result of the TRO, nationals from Chad, Iran, Libya, Somalia, Syria and Yemen are exempt from the travel ban, but nationals from North Korea and Venezuela remain subject to the travel restrictions set forth in the Presidential Proclamation. In his decision, Judge Watson noted that the latest travel ban is being challenged in part because the original travel ban, issued back in January of this year, was an attempt to create a “Muslim Ban”, and President Trump “has never renounced or repudiated his calls for a ban on Muslim immigration.” He wrote that the third iteration of the ban “suffers from precisely the same maladies as its predecessor”, and that it “plainly discriminates based on nationality” in a way that is opposed to federal law. The second ruling, issuing a preliminary injunction blocking the ban from being enforced, came from the U.S. District Court for the District of Maryland on Wednesday, October 18, 2017. In a narrower decision, Judge Chuang blocked the administration only from enforcing the travel ban against travelers from Iran, Libya, Somalia, Syria, Yemen and Chad with a “bona fide relationship” with people or institutions in the U.S. Judge Chuang found that the Presidential Proclamation violated the First Amendment’s establishment clause since it is aimed at Muslims. In response to the injunctions, the Justice Department has stated that it plans to appeal the Hawaii District Court’s ruling. We anticipate that the Maryland District Court ruling will also be appealed. In the meantime, the TRO and preliminary injunction are intended to maintain the status quo. Last week, a spokesperson for the U.S. Citizenship and Immigration Services (USCIS) confirmed that in-person interviews will now be required for employment-based nonimmigrant visa holders (e.g., H-1B, O-1, etc.) applying to adjust their status to permanent residents (“green card” holders). Information currently available from the USCIS indicates that this interview requirement is expected to take effect on October 1, 2017. This mandate appears to be a result of the Trump administration’s plan to apply “extreme vetting” to immigrants and visitors traveling to the U.S. Traditionally, employment-based adjustment of status applicants have not been interviewed as part of the process, unless deemed necessary by the government. The interview mandate will most likely lengthen the processing times for green card applications as approximately 130,000 employment-based applications are filed annually with the USCIS. Currently, the USCIS is taking more than 6 months to process employment-based green card applications at its various service centers throughout the United States. There is no word on where the USCIS intends to conduct interviews pursuant to this mandate. We will provide updates as additional information becomes available. Late Wednesday, March 15, just hours before President Trump’s new travel ban was scheduled to take effect, the U.S. District Court for the District of Hawaii granted a temporary restraining order that prevents the implementation of Executive Order 13780. Recall, President Trump issued Executive Order 13780, entitled, “Protecting the Nation from Foreign Terrorist Entry into the United States” (“EO 13780”), on March 6, 2017. The temporary restraining order issued by the U.S. District Court in Hawaii prohibits the federal government from enforcing EO 13780 on a nationwide basis. As you know from our March 7, 2017 blog post, EO 13780 sought to suspend the entry of non-immigrants from Iran, Libya, Somalia, Sudan, Syria and Yemen for an initial 90-day period if they were not physically present in the U.S. on March 16, 2017, did not have a valid visa at 5:00 pm EST on January 27, 2017, and did not have a valid visa on March 16, 2017. EO 13780 also sought to suspend the entire refugee admission program for 120 days and to cap the admission of refugees to no more than 50,000 for fiscal year 2017. As a result of the decision of the U.S. District Court in Hawaii on March 15, foreign nationals hailing from any of the restricted countries may continue to travel to the U.S. until further notice. At a rally in Nashville, Tennessee on Wednesday evening, President Trump criticized the ruling issued by the U.S. District Court in Hawaii and further declared that his administration will fight to uphold EO 13780, including the travel ban, all the way to the Supreme Court, if necessary. Given the fluidity of this situation, we continue to advise that individuals from the restricted countries who are presently in the U.S. forego any unnecessary international travel at this time. UPDATE ON EXECUTIVE ORDER 13769: \"PROTECTING THE NATION FROM FOREIGN TERRORIST ENTRY INTO THE UNITED STATES\"
We previously reported that on January 27, 2017, the Trump administration issued Executive Order 13769 entitled, “Protecting the Nation from Foreign Terrorist Entry into the United States”. EO 13769 suspends: the entire US refugee admission system for 120 days; the Syrian refugee program indefinitely; and the entry of immigrants and non-immigrants from seven designated countries of concern for an initial period of 90 days. Exactly one week later, on February 3, 2017, the United States District Court for the Western District of Washington issued a temporary restraining order that prohibits the federal government from enforcing Executive Order (“EO”) on a nationwide basis. On February 4, 2017, the Department of Homeland Security (“DHS”) issued a statement announcing that “…in accordance with the judge's ruling, DHS has suspended any and all actions implementing the affected sections of the Executive Order…” and that “…DHS personnel will resume inspection of travelers in accordance with standard policy and procedure.” In addition, all airlines and terminal operators have been notified to permit the boarding of all passengers without regard to nationality. Similarly, the Department of State (“DOS”) confirmed that all visas that had been provisionally revoked pursuant to EO 13769 have now been reinstated and are valid once again. In response to these developments, the Trump administration announced that it would file an emergency stay of the order “at the earliest possible time.” Late in the day on February 4th, the Department of Justice (“DOJ”) filed a formal notice of appeal with the United States Court of Appeals for the Ninth Circuit. The appeal sought to resume the travel ban by requesting an emergency stay of the decision issued by the Western District of Washington. Early Sunday morning, the Ninth Circuit Court of Appeals issued an initial decision denying the DOJ's emergency request. However, the federal appeals court has also asked both parties to brief their respective legal arguments before rendering its final decision. For now, the travel ban remains suspended. Developments from this past week have demonstrated that the interpretations and implementation of EO 13769 continue to fluctuate and evolve. Accordingly, individuals from the seven designated countries of concern who are currently in the United States would be well-advised not to travel outside of the United States until the issues surrounding EO 13769 have been clearly settled by the judicial system. On January 27, 2017 President Trump signed an Executive Order (“EO”) titled "Protecting the Nation from Foreign Terrorist Entry into the United States". Given the diverse composition of colleges and universities, which includes faculty, staff and students, this EO significantly impacts the higher education community. Specifically, the EO suspends the entire US refugee admission system for 120 days and the Syrian refugee program indefinitely. In addition, the EO suspends the entry of immigrants and non-immigrants from certain designated countries of concern for an initial period of 90 days. It should be noted that after 90 days, travel is not automatically reinstated for foreign nationals from these countries of concern. Instead, the EO has mandated that the United States Department of Homeland Security (“DHS”) be required to report whether countries have provided information "needed…for the adjudication of any…benefit under the INA…to determine that the individual seeking the benefit is who the individual claims to be and is not a security or public-safety threat." If a country refuses to provide the requested information regarding its nationals to enable the United States to adjudicate visas, admissions or other benefits provided under the INA, the EO states that foreign nationals from that country will be prohibited from entering the United States until compliance has been achieved. The EO currently applies to individuals from seven designated countries: Iran, Iraq, Libya, Somalia, Sudan, Syria, and Yemen. There has been significant confusion regarding the scope and implementation of the EO’s travel ban. Currently, the travel ban appears to include and apply to the following groups of individuals: non-immigrant visa holders, immigrant visa holders, refugees, derivative asylees, Special Immigrant Visas (SIVs), etc. Moreover, any foreign national holding a passport from one of the seven designated countries is considered to be from the designated country. Accordingly, dual citizens who hold passports issued by both a designated country and non-designated country may also be subject to the travel ban. Further adding to the confusion regarding the scope of this EO, the DHS Secretary John Kelly issued a clarification statement on January 29, 2017 which noted that status as a lawful U.S. permanent resident (a.k.a. 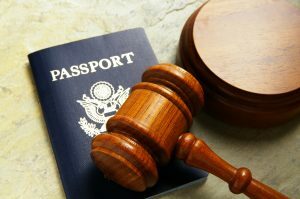 “green card holder”) “will be a dispositive factor” used in the case-by-case analysis for determining re-entry and/or admission into the United States. Based on the information set forth in the EO, colleges and universities would be well-served to advise students, faculty and staff who are from any of these seven designated countries to refrain from traveling outside of the United States until further notice. While the EO has specifically identified seven countries of concern, there is speculation that this list may evolve and expand in the future. Therefore, foreign nationals that hold immigrant and/or non-immigrant visas and who are presently in the United States from other Middle Eastern countries should strongly consider avoiding any international travel, where possible, until additional administrative and judicial guidance has been released. To date, legal challenges have been filed in federal courts throughout the United States on constitutional grounds. We anticipate that additional lawsuits by various stakeholders will be pursued in the coming days and weeks. Thus far, courts in New York, Massachusetts, Virginia and Washington have granted stays of removal and/or temporary orders restraining the enforcement of the EO. While each court decision is slightly different, and does not overrule or invalidate the EO on its face, they do send two messages: (i) the subject matter contained in the EO will be subject to legal challenges; and (ii) given the gravity of the situation, the courts will likely address any such legal challenges in an expeditious manner. As suggested above, until more practical guidance is issued from the courts, the DHS and/or the White House, colleges and universities should advise faculty, staff and students that could potentially be impacted by this EO not to travel abroad. Embedded prompts in the online Form I-9 which provide instructions on how to properly complete that particular question. Drop down lists for certain questions (e.g., citizenship/immigration status, number of preparers/translators, state, document title, issuing authority, etc.) and calendar entries for requested dates (e.g., date of birth, document expiration dates, etc.). The opportunity to list / enter information for more than one preparer and/or translator (if applicable). Auto-population of “N/A” in certain blank fields (where applicable). Auto-population of the employee’s name and citizenship/immigration status into Section 2 based upon responses provided in Section 1. A mechanism which prompts an individual about missing information and/or incomplete fields – highlighted in red – before moving from one section to another within the form. An “error-checking mechanism” which provides prompts and error messages where there may be potential response inconsistencies between citizenship/immigration status and proffered I-9 supporting documentation. A “Start Over” option that enables an individual to clear the Form I-9 and start anew, if necessary. A “Print” option that enables an individual to print the Form I-9 once data has been entered. An “Instructions” option which automatically links an online user to a separate copy of the Form I-9 instructions. Automatic generation of a quick response (QR) code. The “Other Names Used” field has been renamed to “Other Last Names Used (if any)”. This field has changed to require only last name changes in an effort to protect the privacy of individuals (transgendered and others) who have changed their first names, as well as to avoid potential discrimination issues. Foreign national employees are no longer required to provide both their Form I-94 number and foreign passport information in Section 1. Instead, the updated form requires foreign national workers to supply one response from the following three (3) options: (i) an Alien Registration Number; or (ii) a Form I-94 Admission Number; or (iii) a foreign passport number. 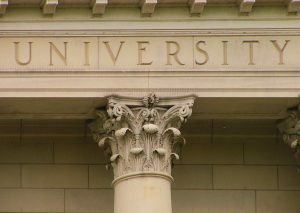 Higher education institutions must now affirmatively answer whether a preparer/translator has been used for completion of Section 1 of the Form I-9. If a preparer/translator has been used, the updated form now provides additional spaces to enter multiple preparers/translators. A new dedicated box / blank section where institution representatives may enter additional information/notes previously written in the margins (e.g., annotations for OPT extensions, receipts, Temporary Protected Status, etc.). ****** As noted above, the new Form I-9 includes new electronic features to facilitate fewer errors during the completion process. Reducing the number of technical/paperwork violations on the Form I-9 has become increasingly important since the federal government implemented higher civil fines against institutions who commit immigration-related offenses, which includes, among other things, Form I-9 and E-Verify violations. With respect to I-9 paperwork errors (e.g., errors or omissions on the Form I-9), the federal government raised the civil penalty range from $110-$1,110 (per relevant individual) to $216-$2,156 (per relevant individual) – an increase of approximately ninety-six percent (96%). The new penalties took effect on August 1, 2016. Given the anticipation of heightened immigration enforcement by the new administration, colleges and universities may be well-served to review their I-9 procedures and records to ensure compliance with IRCA. If you have questions about the new Form I-9 or general I-9 compliance issues, contact Caroline M. Westover, any of the attorneys in our Immigration Law Practice or Higher Education Law Practice, or the attorney in the firm with whom you are regularly in contact.